John Kiley, director of glass programs at the Schack Art Center, at work in the studio. 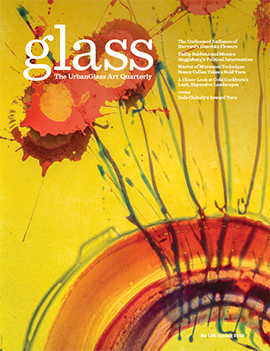 GLASS Quarterly Hot Sheet: What are you working on? John Kiley: I’m just finishing up a week-long residency at The Museum of Glass in Tacoma. The pieces we’re making are comprised of at least two individual parts joined together hot. The finished sculptures are created by cutting away sections of the blown “blanks”, and then shaping and polishing. The scale is larger than anything that I’ve ever made for myself — each piece can weigh up to 50 pounds. One constant theme in my sculpture is separation, and connection. My current work has a membrane of glass dividing separate chambers. Sometimes I’ll form a hole in the middle of the membrane that allows the viewer to partially see both sections, looking through an opening in either side. I’ll often use contrasting colors to make the separation obvious or similar colors to obscure the fact that the piece is comprised of sections. In certain pieces the form is designed to look seamless, and in others there is a definite look of attachment. John Kiley, Green & Violet Eclipse, 2010. The piece in this photo is entitled Green & Violet Eclipse. Just as the title suggests, it is comprised of one transparent violet section, and one transparent green section that cause different hues to appear in the membrane. The spherical shape is inspired by the first object that I can remember making as a child; a perfect sphere made of soil — and the experience of breaking it. GLASS: What artwork have you experienced recently that has moved you, and got you thinking about your own work? John: The Seattle artist George Tsutakawa’s sculptures inspire me. I have always loved the fountain at the entrance to The Seattle Post Intelligencer building. This particular sculpture helped inspire me to become an artist. When I was about 16, I looked up Mr. Tsutakawa’s phone number, and managed to arrange a meeting with his son, Gerard, also a sculptor. I didn’t succeed in becoming an apprentice (George was almost retired at the time), but I received a private studio tour. It was located in the basement and garage of the Tsutakawa home. This was my first visit to any artist’s studio, and still my most memorable. I also am into British sculptor Barbara Hepworth’s work. The way she carved away sections to create space makes sense to me. GLASS: Do you have any upcoming exhibitions you can talk about? John: I have a show opening at William Traver Gallery in Seattle on August 5th, 2010. Some of the work we’re making at the Museum will be there. 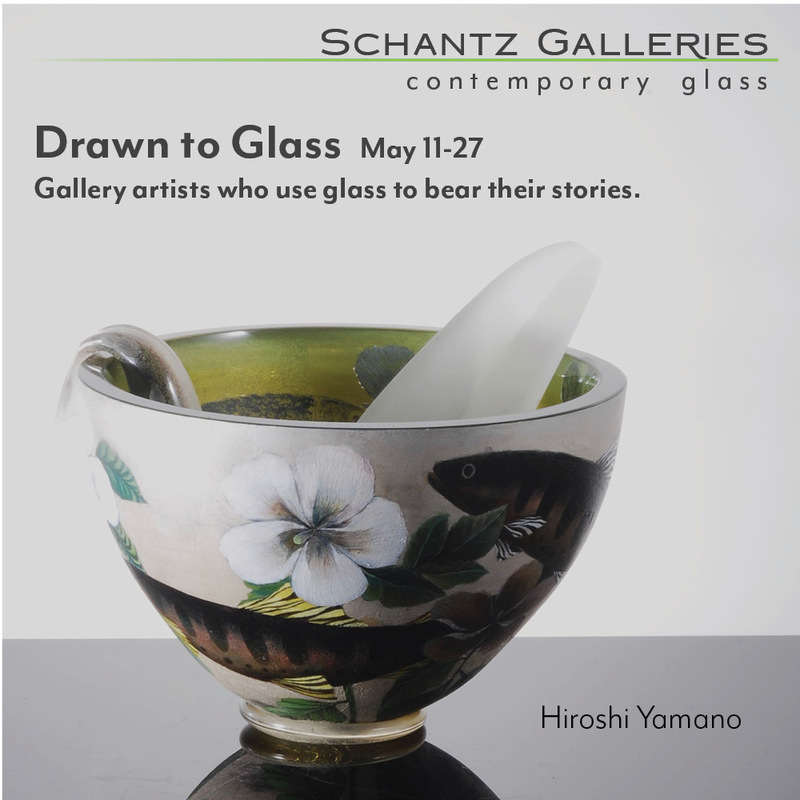 You can also see my work at Schantz Galleries in Stockbridge, Massachusetts, and at Kenn Holsten’s gallery.